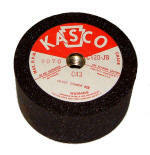 We offer a line of abrasive and diamond products commonly used in the granite & marble trades. Click on any of the pages or pictures below to see our selection. If you do not see what you are looking for, give us a call (1-800-367-7291) or email us.